Latest job openings at Fastizers Food and Confectionery Limited. See the requirements and procedure to apply for Fastizers jobs online. Perform effectively under pressure and tight deadlines. Have excellent problem solving skills, and demonstrate calmness and composure in uncertainty. Market knowledge and meeting marketing goals. Must be flexible, persuasive and can easily influence others. OND in Marketing, Business Administration, Social Sciences or a related discipline. Minimum of 1-2 years relevant work experience. Proven excellence of sales and target meeting skills. Determination and the drive to work towards targets. Must be able to drive manual vehicle and possess a valid driver’s license. How to Apply for Fastizers Food and Confectionery Limited Jobs. Apply for the post of Research and Development Officer at Fastizers. Interested and qualified candidates should forward their Resume/Cover Letter to: recruitment@fastizers.com with the code R/D as the subject of the mail. Apply for the post of Marketing/Brand Manager at Fastizers. Interested and qualified candidates should forward their Resume to: recruitment@fastizers.com with the code M/BM as the subject of the mail. Apply for the post of Van Sales Representative at Fastizers. Interested and qualified candidates should forward their CV to: recruitment@fastizers.com using “Van Sales Representative – Jos” as subject of the mail. 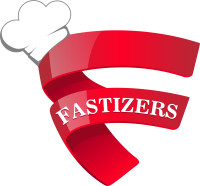 About Fastizers Food and Confectionery Limited.